Located in the heart of Werribee, this apartment building is 3.1 mi (5 km) from Werribee Open Range Zoo and 11.3 mi (18.2 km) from Altona Beach. Flemington Racecourse and Melbourne Convention and Exhibition Centre are also within 20 mi (32 km). Werribee Station is 9 minutes by foot. Situated near the airport, this motel is 2.3 mi (3.7 km) from Werribee Open Range Zoo and 10.5 mi (16.9 km) from Altona Beach. Flemington Racecourse and Melbourne Convention and Exhibition Centre are also within 20 mi (32 km). Werribee Station is 15 minutes by foot. Located in the heart of Werribee, this motel is 2.7 mi (4.4 km) from Werribee Open Range Zoo and 10.9 mi (17.6 km) from Altona Beach. Flemington Racecourse and Melbourne Convention and Exhibition Centre are also within 20 mi (32 km). Werribee Station is 10 minutes by foot. 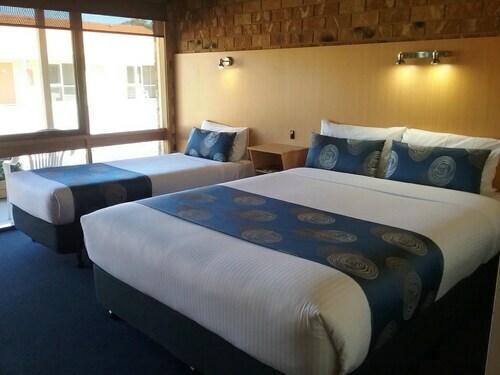 Situated in the suburbs, this hotel is 5 mi (8.1 km) from Werribee Open Range Zoo and within 25 mi (40 km) of Flemington Racecourse and Marvel Stadium. Melbourne Convention and Exhibition Centre and Spirit of Tasmania Ferry Terminal are also within 25 mi (40 km). Australia's Werribee is located in the state of Victoria and is home to some excellent local attractions. Within easy reach of Melbourne, which is only half an hour away by car, Werribee is a favourite excursion when visiting the cultural capital. 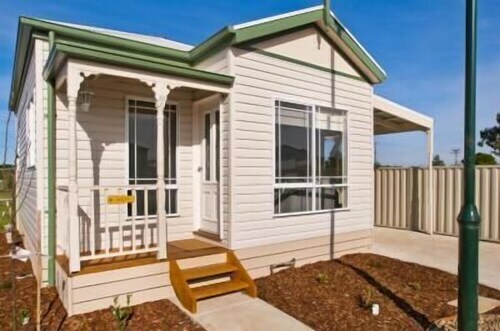 , Why not consider staying for a few days to really take in all that Werribee has to offer? 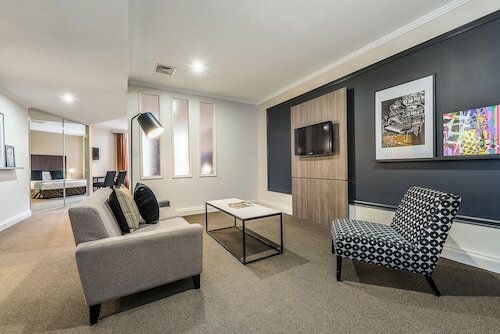 A stay is easy when you book one of our terrific Werribee hotels. Like in most parts of Melbourne, you'll find some great local cafes and restaurants around this beautiful area to enjoy as well as some great boutiques and vintage shops. Werribee is well known for its excellent open zoo, where you can get up close and personal with a wide selection of unique and interesting animals from all over the globe. See native creatures such as kangaroos and koalas, as well as lions, rhinos, hippos, zebras, leopards, giraffes, monkeys and gorillas. Another popular local attraction is Werribee Park, with its stately mansion and gorgeous gardens which are the perfect setting for a picnic. Chirnside Park is great for sports enthusiasts, and there is a golf club in the city. There are also good opportunities for fishing and swimming as there are lovely beaches within easy reach. At Point Cook you can admire the lakes and swamps as well as seeing a range of birds. In the city centre you can wander through lovely public squares, walk along the riverfront, and see sights such as the war memorial and sculptures. A nearby boutique winery, Shadowfax Wines, allows you to see how wine is made as well as taste some delicious locally made vino. The local markets are filled with a range of goodies, so check them out and grab a local treat. If this tickles your fancy you can book a flight to Melbourne and then head out to Werribee for a varied break filled with lots to see and do. 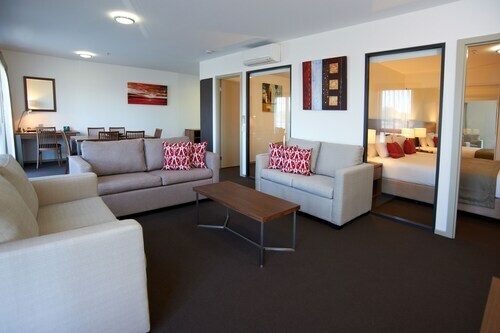 Our Werribee accommodation will ensure you have a pleasant stay. How Much is a Hotel Room in Werribee? 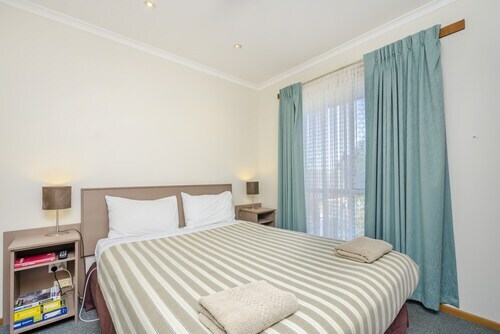 Hotels in Werribee start at AU$110 per night. Prices and availability subject to change. Additional terms may apply.